So you just moved to Canada and are looking for the cheapest way to transfer money from Canada to Ireland or the other way round? When you first move to Canada there is a lot you have to do… open a bank account, find long term accommodation, get you SIN number and many more! So I have finally got around to updating this post outlining the exact way to send money from Ireland to Canada or Canada to Ireland. We put together some very useful information to help you decide on the best and safest way to send or receive money from Canada. We don’t recommend doing direct transfers between your bank accounts. Especially if you have just arrived in Canada and are looking to transfer money from your Irish account. It varies depending on how much you are looking to send but expect to pay anywhere from CAD$30 – $70 in charges++! Not only will you be paying this but you will also get a very standard exchange rate, meaning that you will be losing out in even more $’s or €s. If you make typically ten transfers over the course of your stay, it will cost you easily over CAD$400 – $500 in unnecessary extra charges. For example, when one of our readers first came to Canada they transferred €3000 to their new Canadian bank account via online banking. Sure they received the money in 3 -4 days but including the charges and low exchange rate they lost out in over $150+ CAD! We luckily got referred to Currency Fair by some other people living in Canada as it is one of the safest and best ways to transfer money back home. Not only that but if you sign up with this link you get your first trade FREE with CurrencyFair for all Irish Around Canada readers. We use them now all the time! There are many other currency transfer companies such as Canadian Forex who offer fast & secure international money transfers and better FX rates than your bank. If you sign up with them here, you get no transaction fees over $1000CAD for all Irish Around Canada readers. A third option would be Transferwise, who are up there with some very competitive rates. 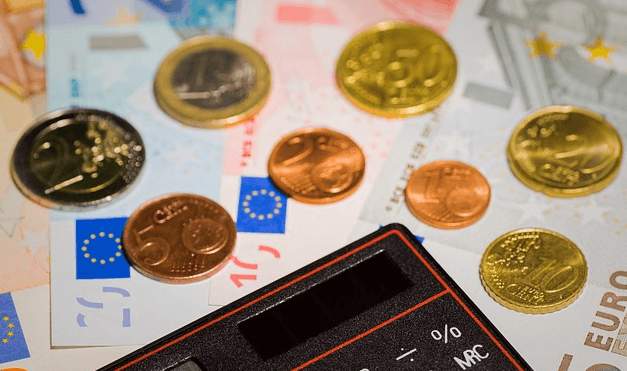 This post from Irish Around Oz covers how much cheaper CurrencyFair is then ALL of the other money transfer companies, well in the particular example it is to Europe, but you get the idea. Personally, we use CurrencyFair, and it is up to you on which service you decide best fits you and what you are looking for. If you are transferring money to the UK or any country, you will get the best and cheapest exchange rate using one of these services. What about sending money from Canada to Ireland? Okay, the title of this post was how to send money from Canada to Ireland but I just wanted to cover what you can do when you move to Canada. Some bank such as TD Bank only allow you to send money internationally if you are present in their branch! So if you are returning home to UK/Ireland keep that in mind. I.E You should send money to CurrencyFair before you leave the country. One alternative here is to send the funds to a different bank that will permit such a transfer through online banking, provided you have another bank account. Alternatively, you could transfer the funds from your TD account to a friend or family members bank account and have them make the transfer into CurrencyFair. This would also be fine as they accept a large amount of 3rd party deposits. We are not the only one who has had the problem. This post on sending money from Canada, from Sunset Travellers go into TD banks in a bit more detail. You would save yourself a fortune by using one of these services. So although you might think it’s just easier to transfer money through your online banking think again! Hope you enjoyed this article and saved yourself some money. Please share it with other Irish people living in Canada. At the end of the day if you can save money while transferring it why not do it. We use them all the time! In fact, when I made the move from Ireland to Australia in 2013 I first got introduced to CurrencyFair and because I had everything set up, it made it all that easier to send it from Ireland to Canada. So sign up here and get your first trade for free even if you don’t use them now you will be glad you used them! Register your FREE account with CurrencyFair here. Or register your FREE account with Canadian Forex here. There you have it some of the best ways to transfer money from Canada To Ireland or any other destination you decide to send it to such as UK, Australia, etc. While there are a whole lot of additional companies out there that offer money transfer services these two are ones we have personally used and are by far the cheapest way to transfer money from Canada To Ireland.